What is the most refill friendly printer? The answer to these 2 points is different in each case some of the times because "starter cartridges" often carry less toner than replacement toner cartridges. Take for example Brother laser printers. They often will take a smaller "starter cartridge" and a higher capacity "replacement cartridge". For example, the Brother TN330 toner cartridge is the starter cartridge for printers that will also accept the Brother TN360 toner cartridge (which is around double capacity). The same is true in the case of Brother TN430 vs the Brother TN460, and the Brother TN540 vs Brother TN570 toner cartridge. HP ( Hewelett Packard ) also does a similar thing, the way to typically identify a lower capacity vs higher capacity toner cartridge by HP is to look at the ending letter on the toner cartridge model. For example the HP Q7553a is the low capacity version of the HP Q7553x (printers that accept the HP Q7553a will also accept the HP Q7553x). Another example is the HP Q2624a vs HP Q2624x, the HP CB435a vs the HP CB435x and more. When considering which printer is the most "refill friendly", consider the capacity of the cartridge (page yield, that is how many pages can be printed with 1 toner cartridge based on a 5% page coverage), as well as how easy the cartridge is to refill and if there are any anti-refill mechanisms on the cartridge or printer. As far as anti-refill mechanisms, toner chips come first to mind. These are "page counting" electronic chips that allow the printer to keep memory of the pages printed (and therefore the pages remaining to be printed) with the cartridge installed in your printer. But they are also anti-refill devices because when you refill an empty toner cartridge (one in which the chip has counted down to "zero" pages left for example), that chip still "remembers" the zero toner left, so adding toner to the cartridge is not enough. In cases like this, the printer or cartridge either needs to be reset (if possible), or the toner chip needs to be replaced. New replacement toner chips can add typically $5 to $15 to the price of the replacement cartridge, and usually the newer the cartridge technology the more expensive will be the chip. So for a true refill friendly printer, consider those that accept cartridges without such chips (also referred to as "lock-out" chips in the case where the chips will not allow the cartridge to print once the chip has run out). Printers that don't have chips include models by Brother (printers that accept the Brother TN430, TN460, TN540, TN570, TN580, TN650 and other toner cartridge models), as well as some Samsung and HP models among others. What is a toner refill kit? A Toner refill kit is a do it yourself (DIY) product that is designed to allow a user, be they a home or small business user, to refill their own toner cartridge. Toner cartridges are expensive, in fact they sometimes cost almost as much money to replace than buying a new laser printer. So customers look for alternative options to buying new original toner cartridges. One of these options is to buy a toner refill kit, also referred to as toner refills. Toner refills in the form of a toner refill kit come with tools and toner to fill your existing empty toner cartridge. The toner refill kits sold by 123 Refills are the Uni-Kit brand, which is the most well known and trusted toner refill kit brand and comes with a full customer satisfaction guarantee. Quality and page yield for the toner refills that we carry is almost the same as buying a brand new toner cartridge, but at amazingly lower prices, often as much as 75% off. So what exactly comes with a Uni-Kit toner refill kit? Unless otherwise stated, the refill kits come with everything you need to successfully refill your toner cartridge. This includes a toner refill bottle (at least equivalent to a high capacity toner refill, and in some cases enough for more than 1 refill). It also includes a refill pouring funnel, toner wipe (which is used to wipe off and attract toner particles to ensure a cleaner working environment), and detailed illustrated toner refill instructions which are also supported by free full time access to Uni-Kit technical support. Some toner cartridges have chips, or memory devices, which may need to be replaced. In such cases, 123 Refills offers the chips and/or sells the toner refill kits with chips. 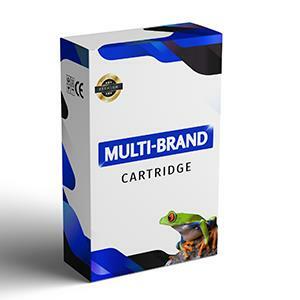 While many companies may consider environmental awareness a trend or a marketing tactic, cartridge manufacturer Epson has taken it seriously for a long time. Epson continues to address ecological-related issues and is committed to the relentless pursuit of innovation in compact, energy-saving, high-precision technologies to reduce environmental impact across all areas of operations. "We do not follow the trend, we create the trend together with you," said Epson executive officer Akihiko Sakai. The company's environmental strategy, called SE15, is a long-term vision that showcases Epson's vision for 2015 and outlines how the company plans to become indispensable to customers and society. The 2015 environmental goals cover halving of life-cycle environmental impacts in key products by reducing CO2 emission, expansion of recyclable products and services, environmental applications of advanced technologies, legal and regulatory compliance and the fostering of an environmental community. Epson, together with competitors including Canon, Brother, Dell, HP and Lexmark has run a joint initiative for collection and recycling called "Ink Cartridge Home Coming Project". According to Epson, approximately 500,000 to 700,000 used ink cartridges are sent to a sorting facility, where they will be separated by brand. From there, the cartridges will be delivered to their respective manufacturers, who will take responsibility for carrying out the recycling process. Epson's policies promote biodiversity and their 3 R's (reduce, reuse, recycle). Epson has also teamed up with its competitor, Canon, reducing CO2 emissions by using a consolidated transportation system. With this service, the products shipped to some sales outlets are consolidated with the products of Canon for delivery by the shipping company. Both companies choose and use the delivery lines. Epson showcased eco products including energy-saving projectors and recycled materials used in new products, such as inkjet printers. Eighty percent of printer products are recycled to be new items, such as pens, bottles, packaging boxes and truck gear. Each year, the company collects approximately 11.5 million used inkjet cartridges from its inkjet cartridge home initiative and takes them to its recycling affiliates. According to a recent PC World report which surveyed over 79,000 technology customers, consumers prefer Brother printers and Canon printers to HP printers.